At 24 inches in diameter, this 15-pound loaf is big enough to serve a crowd, and built to impress. 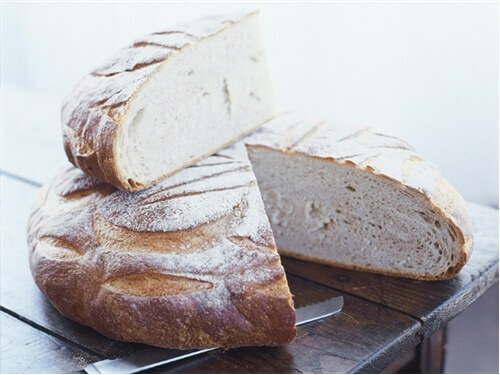 It has a mildly sour taste, a rustic texture, and a thick crust that helps keep the bread from drying out. After the party you can freeze what's left, cut into serviceable hunks. 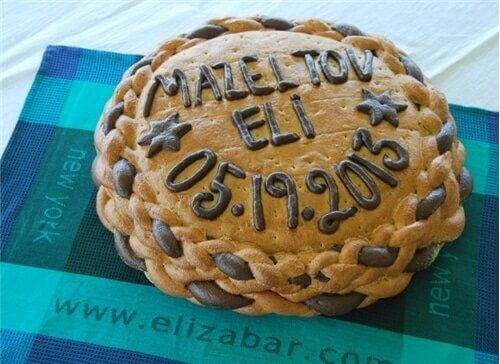 Look at our Custom Country Loaf if you'd like to spell your own message out in dough!